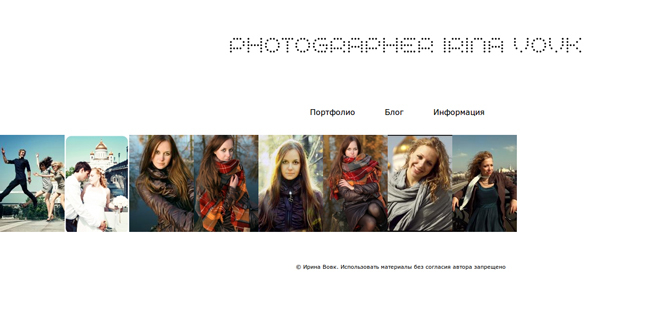 Online-Services , a designer , an overview of services , useful websites , portfolios . For working on the "free bread" designer, animator, photographer, or any way that does not define a good chance to get an order (or job) as having an attractive portfolio. Previously, portfolios were largely on paper or shown with the help of his computer, the trend of today (especially if you are looking for a job on the internet) - on-line portfolio.You'll notice that almost every site contains a freelance exchanges the ability to upload and showcase their work, but what if you want to create their personal online portfolio, which is independent of any internet projects. Create your own online portfolio in several ways. The most difficult and time-consuming way - buy a domain and create his own website on it. 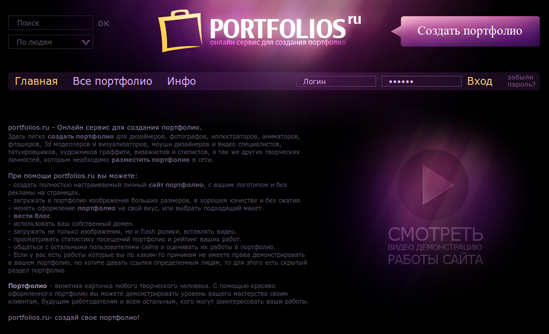 The easiest - use the service to create a portfolio Portfolios ! In the first case, of course, you will have almost limitless options for customizing the functionality and appearance, but, unfortunately, without any special knowledge of development of sites here will not do (or the cash outlay). Option number 2 - a very interesting solution, which propose to examine in more detail. So, Portfolios - an online service through which a person's creative specialties (painter, designer, makeup artist, illustrator, flasher, etc.) 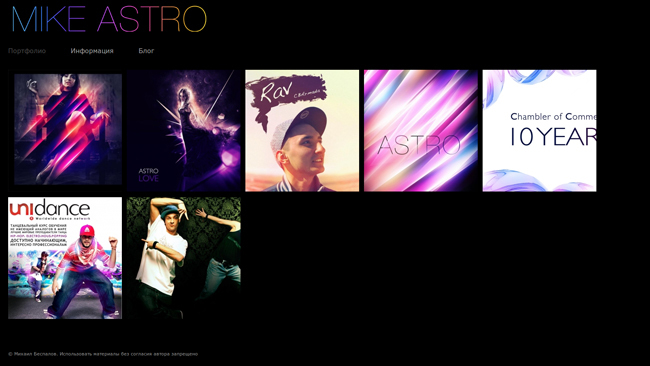 can easily create a free and fully customizable portfolio site. Add a comment, discuss and evaluate the other portfolios. And, of course, the same video with a demonstration of all the features of the service Portfolios. Portfolios not only provides an opportunity for everyone to create their own professional looking portfolio (of course, the content on your conscience.) This is one of its kind social networking site for professionals and even a blog-hosting service. The most important thing - the service, of course, can bring huge benefits to freelancers. So the people of creative professions are obliged, to get to the Portfolios Portfolio!